This workshop is for everyone who can appreciate the abstract beauty of freeflowing black and white patterns and designs. 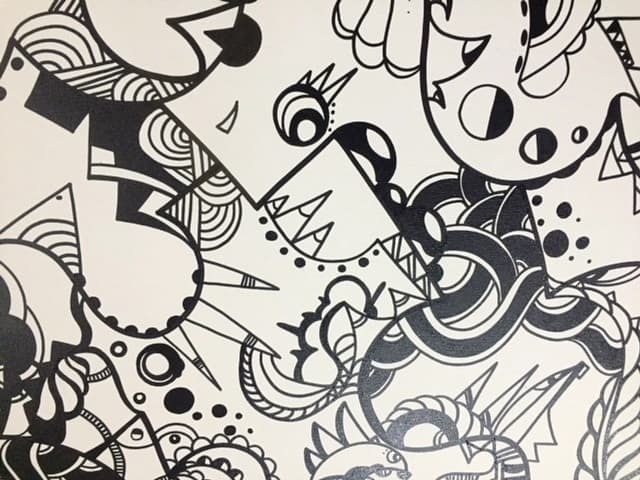 In this workshop we will create abstract freeflowing doodle art on canvas using oil paint markers and paint. We will also learn about some commonly used doodle patterns which can be applied to your artwork. Participants will create artwork on 11×14 canvases.